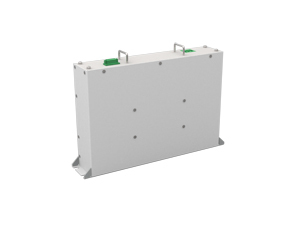 The 150V 5.8F module is a complete energy storage module comprised of 60 connected individual super capacitor singles of which nominal capacitance is 350F.The module has the caution of overvoltage or over temperature and reverse, are mainly used in wind turbine, industrial and heavy duty machinery. The module is fixed by position holes, and output by the connection terminals on both sides. The 150V 5.8F module has functions, such as cell voltage monitoring, temperature monitoring and polarity alarm.